Oleksandr Klymenko: referendum on the Constitution - it is a political trade within the power, not the path to peace ⋆ News ⋆ Official website for Oleksandr Klymenko. Arseniy Yatsenyuk issued Petro Poroshenko an ultimatum by the statement on the referendum on the Constitution and started final collapse in power. Such opinion was expressed by Oleksandr Klymenko – politician, honorary head of the “Uspіshna Kraina” – on his website. 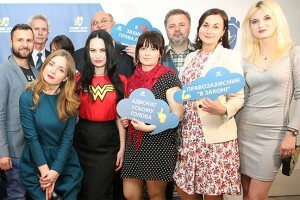 According to Oleksandr Klymenko, the statement of Yatsenyuk on the referendum – it is “nothing more than a profanity and backstage political games for saving a power, a desire to hide from the problems, which can not be solved by this power”. The politician is confident that such statements are nothing, but an exacerbation of the political conflict. According to him, holding a referendum – it is really an effective way to find out public opinion on the most important issues for the country. For instance, in Great Britain, in June there will be hold a referendum on secession from the EU. However, compared with Ukraine, a referendum is not an object of manipulation by politicians in Britain. “But the referendum, which was announced by Arseniy Yatsenyuk, has other implications. Firstly, it is hypothetically possible to reach any decision via a referendum – the main thing is “competent” informational preparation. Secondly, the number of supporters and opponents of a special status for Donbas is nearly the same (about 30%), and the result depends on the mobilization of relevant electorate. Third, it is is necessary to adopt a law, which simplify the holding of a referendum in order to bring the Constitution to the referendum “- the politician said. Let us recall, the approval of the provisions of the Constitution is not fixed in the Constitution itself, which can cause different interpretation of legal possibility of a plebiscite. According to Oleksandr Klymenko, a statement on a referendum was made in order to save power of the prime minister, whose position is very wonky today (as well as ministers close to him). Demonstrative statement of Poroshenko, Yatseniuk and Groisman about “unity of government”, which was made in mid-December, was rather the product for external customer, namely, US and the EU. In this situation, on the one hand, statement of Yatsenyuk played the lead and issued Poroshenko an ultimatum, on the other hand, it has whipped up the processes of disintegration inside the government. Poroshenko, who is experiencing the pressure from the West (primarily the EU) on the need for amendments to the Basic Law, could not find 300 votes for the effective voting and decided to use a “plan B” – the delay. Technologically, it has been decided to make an appeal through the 51 parliamentary deputies to the Constitutional Court to clarify the provisions of the Constitution (on the regular session, which deal with amendments). “Nowadays, the President has a choice: either to fulfill the requirements of the prime minister and his team, to keep the government almost unchanged, to replace the ministers or to reform the coalition after expulsion Narodniy Front from it. No matter what the choice of Poroshenko, Yatseniuk and Co is made, Ukrainian citizens will lose anyway. Due to the fact that it does not come about the approach of the long-awaited peace in Donbas”- Klymenko said. 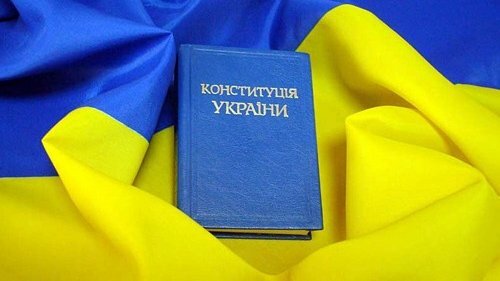 Let us recall, January 24, Arseniy Yatsenyuk – Prime Minister of Ukraine – declared the necessity of holding a referendum on amendments to the Constitution of Ukraine. According to him, a new “social contract” between citizens and the authorities supposes the redistribution of responsibilities between the president, government and parliament, between the center and regions, establishment of new trial, definition of geopolitical objectives in Ukraine, including an issue on the “special” status of Donbas. Volodymyr Groisman – Parliament Speaker – has already made a statement that it makes no sense to bring the issue on the special status of the Donbas to the referendum, because it is not in the draft amendments to the Constitution.